As the highest ski resort in Europe at 2300m, the town of Val Thorens rises above the tree line and has built itself a reputation based on hard skiing and equally hard partying. 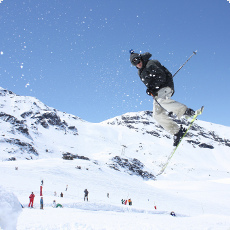 A purpose-built town, Val Thorens has developed in a more harmonious way than many other ski resorts in the area. A wide range of hotels have been built to cater for all budgets, and most accommodation is close to the slopes for easy access to lifts. A wide range of restaurants to suit all tastes exist in Val Thorens, as well as a livelier apres-ski and nightlife than is found in the majority of French resorts. Being extremely popular with British students and young Scandanavians, Val Thorens keeps the party going until the early hours. The high altitude makes Val Thorens one of France’s most snow-sure resorts, while the north facing slopes give it excellent snow cover and piste reliability plus shelter from the wind on the majority of popular slopes. The local pistes around Val Thorens are largely aimed at intermediate skiers, but with easy access to the massive Trois Vallees ski area every level is catered for in the surrounding terrain. Away from the slopes, a large sports centre operates in the centre of town and there are plenty of other activities such as ice driving, paragliding and snowmobiling for those seeking a alternative kind of adrenalin rush. Val Thorens popularity during the winter months mean plenty of transport options exist to and from the resort. For European and International travellers the easiest method of travel will be a flight to one of the local airports followed by either a shared or private transfer. Four local airports are available for trips to Val Thorens. Chambery is the closest of these, but although it is nearest it is also small with a limited range of flights. Geneva airport is the most popular of the local airports, despite technically being in Switzerland. It is much larger, and as such can provide cheaper ond usually more convenient flights for getting to Val Thorens. Grenoble and Lyon airports are further away than Chambery, and deal with less low-cost flights than Geneva, but provide a good option if either of those doesn't fit in to your travel plans. There are a number of airport transfer options to Val Thorens depending on your group size and budget. Private taxi transfers operate from any of the airports, although we would always recommend booking them well in advance. Most companies will operate 8 seat vehicles, and Snowbus are one of the very few who can offer larger vehicles for big groups. For smaller groups and those skiing on a budget shared transfers will be a much better option. Snowbus run low-cost shared transfers from both Geneva and Grenoble airports to Val Thorens where you pay a cheap, per person price for a scheduled transfer journey. All timings based on a private transfer journey in good weather and traffic conditions. Snowbus run private taxi transfers between the airports of Chambery, Geneva, Grenoble & Lyon and Val Thorens ski resort. Booking a private ski transfer means you are hiring the whole vehicle and driver just for your journey. Our courteous driver will meet you straight from your flight and take you directly to the vehicle. Once your luggage is loaded we'll get you right to your accommodation door as quickly and safely as possible. There's no waiting around with a private transfer and no time lost on the journey either - leaving you as much holiday time as possible. We use a range of vehicles for private ski transfers to Val Thorens. All minibuses are clean, well maintained and comfortable. Snowbus are one of the very few companies with the correct licenses to run larger vehicles for big groups. We have vehicles available to Val Thorens for up to 19 passengers, and larger coaches can be arranged on request. If you want your large group to all travel together on their private transfer to Val Thorens then this is a great option. This season we'll be selling all our private transfers from Chambery, Geneva, Grenoble & Lyon airports to Val Thorens through our partner Snowcompare.com. They're working with all the best reliable and licensed transfer companies in the area to make finding the right ski transfer for your group easier than ever before. If you're booking for an airport transfer take a look at the prices on Snowcompare to compare & save on Val Thorens ski transfers. Our shared transfers from Geneva airport are a cheap, budget-friendly way of travelling to Val Thorens ski resort. As the busiest airport in the area, Geneva handles thousands of skiers and snowboarders every winter and therefore deserves a regular bus service linking it with Val Thorens. The coach timings are set at regular and convenient spaces so you know exactly when you're travelling on our transfers. Our reps will meet you in the international arrivals hall at Geneva airport and will let you know exactly what is going to happen. We have a stop at the UCPA building in Val Thorens, and then at the main bus station in the centre of town. Snowbus shared transfers to Val Thorens are a cheap travel option starting at just £57 per person. We make the journey as quick as possible, and keep stops along the way down to a bare minimum. Our shared transfer service runs between Val Thorens and Geneva airport every Friday, Saturday & Sunday throughout the winter and is a great option for smaller groups or those travelling on a budget. 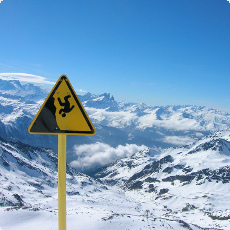 Grenoble airport provides a convenient arrival point in France for journeys to Val Thorens ski resort. Low-cost airlines fly in and out during the winter - mostly on weekends - and Snowbus runs a Saturday shared transfer service between Grenoble and Val Thorens. Providing a much cheaper alternative to private or taxi transfer, these shared transfers depart Grenoble airport regularly on Saturdays and travel quickly and safely up to both Val Thorens UCPA and Val Thorens centre. Prices for shared transfers between Grenoble airport and Val Thorens start from just £57 and we aim to use smaller vehicles rather than coaches on these journeys for a smoother, more comfortable trip for all Snowbus customers.